The haplotype of the Mesolithic skeleton from the Croatian Island Korčula belongs to the mtDNA haplogroup U5b2a5 (Dataset S3). The sub-haplogroup U5b has been shown to be frequent in pre-Neolithic hunter-gatherer communities across Europe [28–30,32,33,45,46]. Contrary to the low mtDNA diversity reported from hunter-gatherers of Central/North Europe [28–30], we identify substantially higher variability in early farming communities of the Carpathian Basin including the haplogroups N1a, T1, T2, J, K, H, HV, V, W, X, U2, U3, U4, and U5a (Table 1). 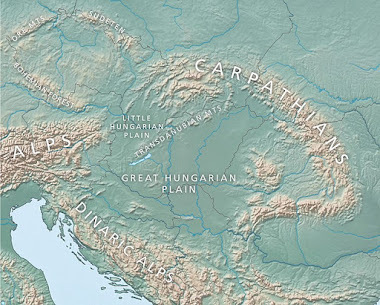 Previous studies have shown that haplogroups N1a, T2, J, K, HV, V, W and X are most characteristic for the Central European LBK and have described these haplogroups as the mitochondrial ʻNeolithic packageʼ that had reached Central Europe in the 6th millennium BC [36,37]. Interestingly, most of these haplogroups show comparable frequencies between the STA, LBKT and LBK, comprising the majority of mtDNA variation in each culture (STA=86.36%, LBKT=61.54%, LBK=79.63%). In contrast, hunter-gatherer haplogroups are rare in the STA and both LBK groups (Table 1). As far as I can see, nothing really surprising. Y-haplogroup G2a has been found in plenty of other European Neolithic remains, so its status as the main Y-haplogroup of the men who introduced the Neolithic package from the Near East into Europe remains unchallenged. The I1 and I2 probably belonged to the descendants of indigenous European foragers who were incorporated into the ranks of the early farmers as they made their way north from Anatolia. But the I1-M253 is interesting, because this is the first time that this haplogroup has been reported from prehistoric remains. I probably don't have to remind anyone that it's the most common Y-haplogroup in Scandinavia today, and yet it was missing from two sets Scandinavian forager remains analyzed recently by Lazaridis et al. and Skoglund et al. This perhaps suggests that it did not enter Scandinavia until the Neolithic, or even later. Anna Szécsényi-Nagy, Guido Brandt, Victoria Keerl, et al., Tracing the genetic origin of Europe's first farmers reveals insights into their social organization, bioRxiv, first posted online September 3, 2014, doi: http://dx.doi.org/10.1101/008664.